As everybody knows, sardines are popular fish since our ancestors. However, it is also a fact that there are many who do not like to eat sardines because of its offensive smell and rapid spoilage. Knowing the character of it, I tried to study how to cook cutting down the smell and increase its fine taste from my mother. 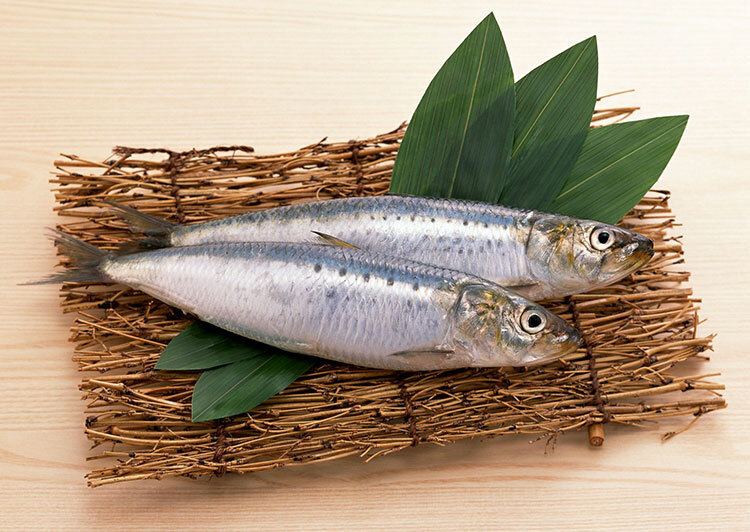 Furthermore, sardines are very rich in calcium, lecithin and EPA (eicosapentaenoic acid). EPA does an important role on preventing blood clot. The fish oil fatty acids reduce blood clotting by decreasing the stickiness of blood platelets. Then, you should know the secret of sardines and its cooking techniques? It's true that sardines are one of the weakest fishes. Sardines can easily crumple and rot which is the main reason most people dislike sardines. But if you know how to keep the shape of the sardine without crumpling, for sure you will like its great taste. It is because sardine itself removes or peels off scales for a certain reason which makes the shape of sardine collapses with its own weight and gravity. Of course, it is natural that collapsed fish meat does not taste good, just like rotten or deteriorated with empty taste. To retain the freshness of the sardines, prepare a cooler box with water and ice cubes and place the sardines in it. This will keep the fish fresh. Here's the reason sardines peel off its own scales. Sardines produce about ten thousand eggs, and because of that, it became the feed resource of other marine creatures. Sardines are exposed to the crisis of their lives. To escape or maneuver the attackers, sardines drop their own scales to make the eyes of the enemy black out. Of course, sardines that lost their own scales are hurt and weak, so they easily die or spoil. You may notice that most sardines you buy in the markets have less or no scales. This is because of the unique habit of sardines to remove their scales when they were caught in the net. Sardine's salinity density is 1%; therefore, make an ice water of 1% salinity to balance and preserve the osmotic pressure. In this way, the excessive extract does not come out of the sardine's body. Also, it can hold down the offensive odor as well as its good taste. Sardines are one of the healthiest foodstuffs with rich calcium, EPA and lecithin contents. As for calcium in fish, sardines are top class. 100g of sardines contains 70mg of calcium. This amount is 3 times than that of horse mackerel and 8 times that of mackerel. Also, sardines have the highest amount of EPA. There are 1,200mg of EPA for every 100g of sardines. Observe the mouth where the sardines eat their feed. If you will measure the size of the mouth, you will notice that sardines mouths are much bigger than any other fishes, in order to take more plankton and other small feeds. Why sardines eat more small plankton more? It is to keep more EPA nutrient from phytoplankton and small plankton. How about calcium? 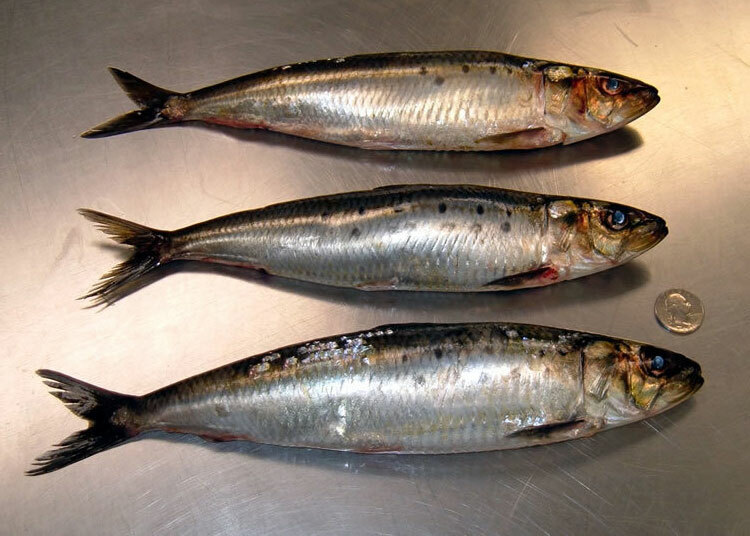 Sardines have more bones compare to other fishes. It is a soft, known bone, between the meats (small bones which we do not notice much when we eat). The number of such fine bones is 270, and it is 5 times more than horse mackerel. It has one of the richest calcium you can take. Now, you understand that sardines are very healthy food to take. If you have any pressure cooker, then, it is easy to make sardines, like the can you are buying in the supermarket. Eating sardines, including tuna and salmon even once or twice a week confers many healthy benefits. Obviously an all-around healthy diet will provide even more protection from other illnesses, too. Salmon fish is well known to keep our heart and brain healthy. There are a lot of reasons to eat a nutrient-rich fishes to prevent age-related macular degeneration, especially eyesight. Cheap and abandoned fish is sardine. Eat sardines everyday. Sardine makes you healthy mentally and physically. Make it habitual to eat more fishes that contain fish oil and lutein, and cook with vegetables.